Global Finance: Banks in Bahrain face a weak domestic operating environment. How will Ahli United Bank deal with tighter market conditions? 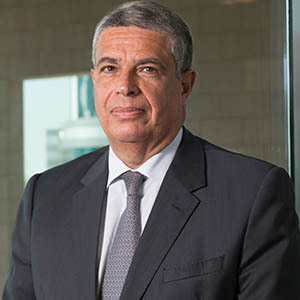 El-Labban: The operating environment remains very challenging. Faced with lower oil revenues, the government is taking steps, which include reducing government subsidies, streamlining expenditure and undertaking economic and fiscal reforms. AUB is well placed to face the tough business environment on account of its diversified business model, with no single-country dependence. Bahrain represents around 12% of overall net profit. GF: In the nine months to September 2015, net profits increased 11.3%. How does the full year performance look? El-Labban: AUB continued its solid growth for the full-year 2015 and recorded a net profit of $537.2 million in 2015, representing an 11.3% growth over a net profit of $482.5 million in 2014. The increase in operating income was underpinned by an increase in net interest income, despite very low prevailing absolute-interest-rate levels. The net interest income increase was achieved primarily through a moderated increase in lending volumes, as well as deployment of liquidity in nontrading investments within a conservative and diversified risk framework. GF: Are there any product enhancements in the works? AUB Bahrain launched the Electronic Fund Transfer System. Customers can perform local bank transfers in near-real time, as well as in deferred mode on a 24x7x365 basis through ebanking, mobile banking and branch channels. The bank’s Islamic banking offering, Al Hilal, now includes new shariah-compliant credit card products and privileged services for premium banking clients. AUB launched enhanced e-banking services with a new user interface. Point-of-sale services were enhanced with the functionality of a dynamic currency conversion option. AUB Egypt recently established a dedicated shipping division offering tailor-made services to tap the growing potential of the shipping sector in the Suez Canal. Core banking platforms across the AUB Group were upgraded to the latest technology version, providing robust/scalable functionality. AUB continued to expand cross-border business through MyGlobal Client. This is a seamless banking service for clients with multicountry banking requirements. It is achieved by expanding coverage through affiliate banks to develop liability flows into all its markets, with a focus on Egypt, and to cross-sell mortgage finance products in various AUB markets to nonresident clients. GF: There was some discussion AUB was considering a sale or merger. What is the status of those discussions? markets and existing markets through organic as well as inorganic routes. GF: Do you plan to widen your network? El-Labban: AUB aims to expand into core Gulf countries such as Saudi Arabia, the UAE and Iran, as well as in identified secondary markets like Turkey and Switzerland. 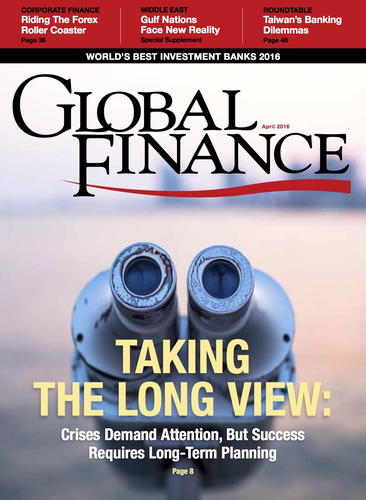 GF: In view of the fall in oil prices, what is the outlook for the banking sector in the GCC? El-Labban: The fall in oil prices, slowdown in economic growth and tightening liquidity are expected to translate to lower growth for regional banking. Banks with stronger risk culture and focused business models will be better prepared to face these economic challenges.